"If you were a seventeenth century smuggler, bringing something in or out of the country, what contraband would appeal to you?" We regret that all our competitions are open to UK residents only. Closing date 7th February; please put suggestions in the Comments below. 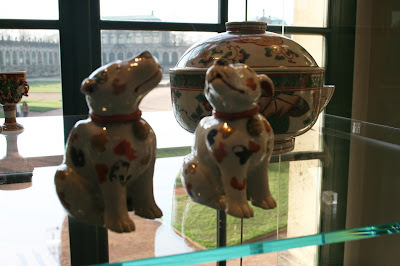 These dogs live in the Zwinger porcelain museum in Dresden, where I saw them three years ago. They are not Dresden china, however, but Japanese, from the late seventeenth century. August the Strong, Elector of Saxony and later King of Poland, acquired them in the early eighteenth century. They were catalogued as 'two seated brightly-coloured small dogs with red collars and bells.' Apparently Japanese ladies used to like keeping these little spotted dogs and one can see them on ukiyo-e woodblock prints. Actually, the Zwinger is full of objects I'd love to own; exquisite Chinese and Japanese porcelain, equally exquisite Meissen porcelain - but I adore the amused and affectionate way these little dogs have been observed and made. I have seen my own dogs lift their noses in exactly that way, many a time, sniffing some delicious smell coming from the kitchen, and perhaps, since they are pet dogs, their kimonoed mistress, sitting on the tatami matting, will pick a morsel from the low table, bend down and offer it to them, at the end of her chopsticks - and then - following canine blandishments, another. I think, in fact, that it is beef, perhaps sukiyaki - I can almost smell it myself! I would put them on the mantelpiece, I think, and when my grandsons came to stay they would have to be put away in the glass-fronted cupboard to be safe from the toddling, grabbing twins; but they'd get lifted up to see the dogs, and would exclaim with delight. But there's the rub. They're far too valuable, and the insurance would be impossible. I have the photograph, though, and can enjoy seeing them whenever I like, without fear of theft or breakages. Thank you, Leslie! This is the first in an occasional series in which History Girls are going to be encouraged to let their material lusts run riot. The sky is the limit on items we'd like to own. 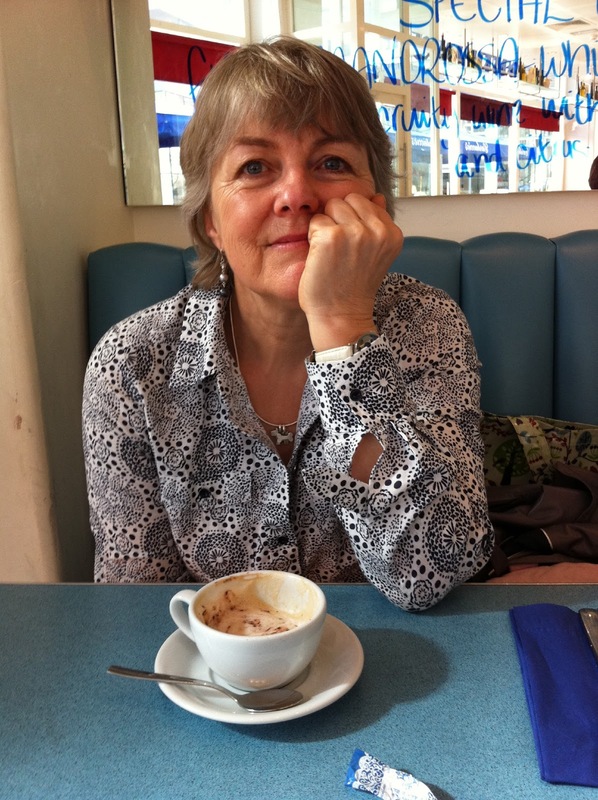 Our guest this month is children's writer Deborah White. Welcome Deborah! (If you read to the end you will discover how seriously she takes her guesting responsibilities). Deborah White was born in Devon, but lived in an 18ft caravan on a farm in Buckinghamshire until she was three. She loved to read and write stories on her 1914 portable Corona typewriter and secretly dreamed of being an actress. She was inspired to write Wickedness after reading that Samuel Pepys went to see a preserved mummy at Egyptian exhibition in London in 1668. Debbie (on left) takes blogging for the History Girls very seriously. 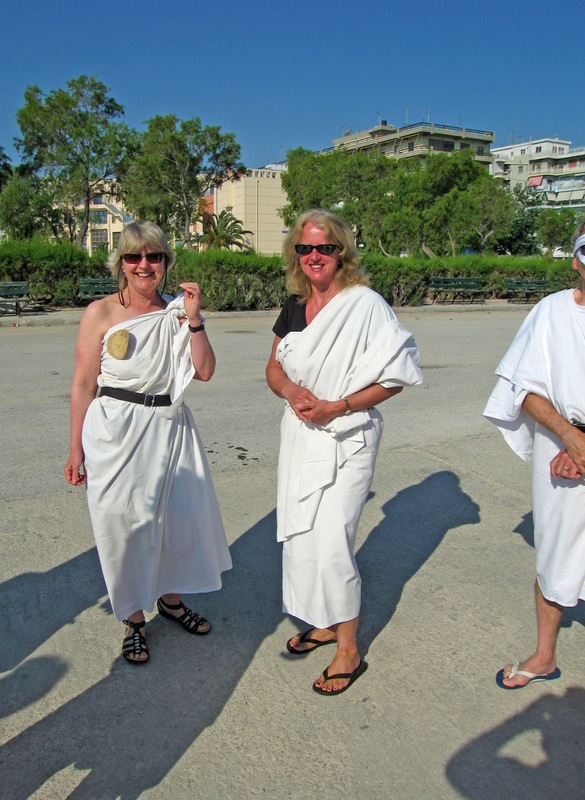 Dressed up in a toga (sheet), she is about to sail (fore and aft rigged sailing vessel of course) through the Corinth Canal with her friend Sheila. 'on the fifth anniversary of the death of Robert Burns, nine men who knew him met for dinner in Burns Cottage in Alloway to celebrate his life and works. The Master of Ceremonies was a local minister, a liberal theologian and an equally liberal host. Hamilton Paul and his guests shared Masonic brotherhood with Rabbie and Paul devised an evening which look a bit like a lodge ceremonial, centred on a fine fat haggis; with recitation and singing of Burns's works and a toast (in verse) to the memory of their friend and hero. It's an honour, in Scotland, for an English person to be asked to speak at a Burns Supper. It's also faintly alarming. First, even if you can recite yards of Burns with ease, unless you are a superb actor, English people speaking Scots sound like deflating bagpipes: more than a little off key. Second, you must gird your loins to eat like a Clan Chieftan stocking up for a famine. It would have floored many trenchermen but, as Burns asked, who in his right mind 'looks down wi sneering, scornfu view/On sic a dinner?' No 'sneering' or 'scornfu' view from me, only a faint sense of panic. As the haggis was addressed, I adjusted my sash (my husband's a Scot which makes me a sash by marriage) and prayed for a good digestion. Reader, I did England proud. I didn't manage every morsel, but I made a decent dent. Then we had The Bletherin. I was to speak in the second half. Yes, the second half. A Burns blether is a mighty old thing, not for fearties. There are three Immortal Memories celebrated in Britain: two Scots, James Watt and Robert Burns; and one English, Lord Nelson. I've no idea what they eat at a Watt Supper or a Nelson Supper - lightbulbs and ships biscuits? - but I doubt the Bill of Fare can match the Burns. Burns, voted by Scots the greatest Scot of all time, died in 1796 of an infection following a tooth extraction. It wasn't a romantic way to go, but my goodness, despite the weight of haggis and beef pie, he left some romance behind him. Memorial Day, going back a while. So now, as this post goes out on the day of his memorial concert - he was a composer - I'm going to remember him. And I'm going to do it in a historical way - in my usual historical way, actually. I'm going to report on the ancestors. When I was little there was a small typed piece of paper stuck up the bath, which, steam-stained and ancient, read thus: 'This family is directly descended in two lines from Robert the Bruce, therefore we should rescue spiders from a dreary end in the bath'. My grandfather (he died in 1960) had put it up, and I spent much of my childhood rescuing spiders from a dreary end in the bath. At one stage, knowing that Marat had met such an end, I believed him to be spider. Such is the confusion of small knowledge on small people. But I digress. 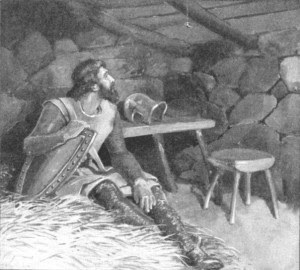 When I wrote my Book of the Heart, in the last years of the last century, I discovered that Robert the Bruce wanted, when he died, his heart to be taken to Jerusalem. It was accordingly taken south, via Spain, by one Sir James Douglas, in 'ane case of silver fyn, enamilit throu subtilite', which he wore around his neck. 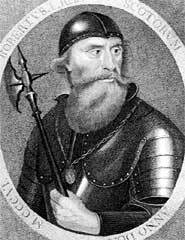 With 'Good Sir James', 'the Black Douglas', rode Sir Symon Locard of Lee who, having distinguished himself fighting the English, was given the honour of carrying the key to the precious case. He died . . .
After his return, Sir Symon Locard changed his family name to Lockheart, later Lockhart. 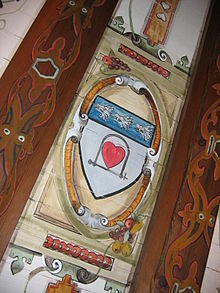 He added to the family coat of arms a heart in a fetterlock, and the motto Cordo serata pando: I open locked hearts. So. My beloved was called Robert Lockhart. Did his many-times grandfather carry the key to my many-times grandfather's heart, or the heart itself, back in the fourteenth century? It gave us pleasure to imagine so. Robert set it to music for me. Before he lost his voice to throat cancer, he recorded himself reading it, over the beautiful piano and violin setting he had written. Susan Bullock is going to sing it on Sunday - today, when you read this. http://www.contrariwise.org/tag/ee-cummings/ - scroll down, and you will find the heart-carrying section. Yes, it gives me ideas. Raise a glass to him today. He had the key to mine. I arrive in Odessa in a trance. The Black Sea crossing had been turbulent. All through the night, the prow of the boat had plunged through gigantic rollers. In sharp sunlight, the wide shady boulevards and gracious classical buildings with their traceries of wrought iron balconies, seem almost hypnotic. Walking through old Odessa, I’ve forgotten that this is the town that Charles Ephrussi grew up in. The Hare with Amber Eyes is ludicrously far from my thoughts. I start at the mansion of Mikhail Tolstoy, cousin of Leo. In his gracious house with its oval front room I stare down between the trees into the garden and I’m moved by the grace of it all… the long windows, the light, the chandeliers, the marquetry floor, the fact that he married his maid – unheard of for a person of his standing in society. Apart from being patrons of the arts and building a separate art gallery next to the house for their collection, he and his wife also instigated the first emergency medical service in Russia. In retrospect I’ve worked out he must have lived in Odessa at the same time as the Ephrussi family. The Ephrussi Palace is on the promenade of the Primorsky Boulevard. I walk down to the promenade passing a music academy where a student is practicing the violin. She smiles down at me as if she knows this city populated by Russians and Greeks and Italians and Turks with streets named after them, is holding me in its grip, mesmerizing me. I pass the Potemkin Steps where Charles must have stood looking out over the masts of ships that transported the wheat his family acquired from all over Russia and watched stevedores and sailors, where he might've caught the whiff of adventure wafting off the Black Sea. In the late 1800’s, the steps must have been a stopping place for wealthy families living along the promenade taking their afternoon passeggiatta along the avenue of horse chestnut and linden trees. Now the steps are mostly occupied by gypsies trying to persuade tourists to part with money, by having photographs taken with eagles they have tied to their wrists by short ropes. The birds strain at the cords. I stare at the tourists hoping to shame them into not posing, as an eagle flaps and desperately tries to fly. I don’t see the double E’s in the wrought iron of the Ephrussi Palace or the ears of wheat in the balustrades, because I’m not looking for them, but I do stop to take a photograph of the Londonskaya Hotel, which is almost next door, without remembering that this is where Edmund de Waal stayed when he visited Odessa. It’s a magnificent brown, baroque, Belle Époque edifice designed by the architect Boffi who also built the Tolstoy Palace, and has hosted famous people including Robert Louis Stevenson. I take a photograph of Pushkin as well. Today a dove is sitting on his head and beneath him in the open square mothers have gathered with their children under the trees in what seems like an informal forum for discussing toddlers’ problems. The children are slung across their mothers’ backs in the same way they are slung by mamas in Africa. I cross the dusty square that Charles must have played in and stroll to the grand Opera House and then on to a music recital at the Museum for Literature. Outside the Archaeological Museum, I take a photograph of Laocoön fighting the sea serpent. I don’t remember that Charles has drawn this, his favourite statue, countless times, making the coils tighter and tighter. Later I visit the Fine Arts Museum where students are sitting on the steps, drawing. The rooms inside are nothing like the galleries I know in London. The lighting is poor and the paintings are crowded but reflect beautiful Russian women sumptuously dressed, staring straight out at me. Any one of them could have been an Ephrussi woman. The photographs are the copyright of Dianne Hofmeyr. Please don't use without permission. I flicked on the telly the other morning and saw Simon Schama giving his all, yet again, in a rerun of his series on the History of Britain. He was doing the Norman Conquest and, as you might expect, there were several references to 'The Chroniclers' - the men (mainly monks) on both sides of the Channel, who have told us almost all we know (or think we know) about what happened in the mid-11th century. I'm well aware that Simon Schama exercises appropriate caution when faced with a 'source'. How does the writer know these 'facts'? Who is he writing for? Why is he writing? etc, etc. Still, in the flurry of a TV script, there was no time to labour the point that the reality might not have been exactly as depicted in the surviving accounts. 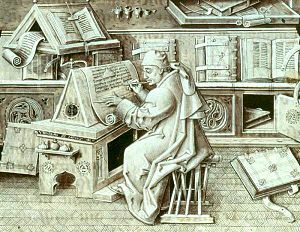 Anyone who has ever done historical research knows the fatal lure of the single, uncorroborated document: hard to disbelieve because it’s all we have to go on, and valued (perhaps over-valued) precisely because of its uniqueness. It’s the historian’s equivalent of the penchant journalists and politicians have for ‘secret’ intelligence - their automatic assumption being that information is more likely to be true if it isn’t public, when the opposite is more likely to be the case. The chances are that a lot of the things we accept as historical fact are only faintly related to what really happened. Perhaps that doesn’t matter. If the story is embedded in the national consciousness, maybe there’s a case for leaving it undisturbed. After all, we can’t understand the literature, songs, or even the politics of the past unless we know the old tales. 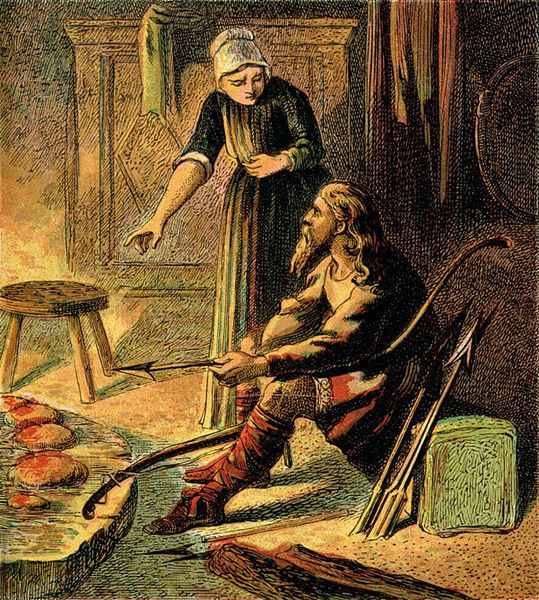 Although the academic historical game is all about questioning and rewriting familiar stories, in practice, if people think that Alfred burnt the cakes or Robert the Bruce was inspired by a spider, it may not do any harm to let that notion lie. In my time, I've had experience of helping the 'facts' to acquire a settled shape. 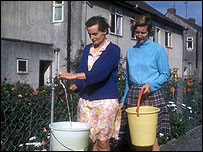 In the 1970s and 80s, I worked in BBC news and current affairs. 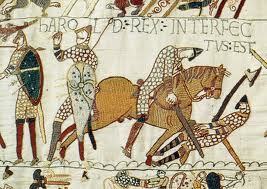 I suppose that era qualifies as 'history' now, so I'll take the chance to tell you a couple of anecdotes. On the night of August 16/17 1977, I was a very junior sub-editor in Radio News. 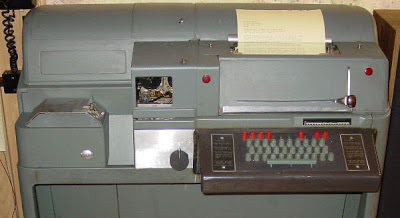 In those days, before computers, mobile phones, and with even the now-defunct CEEFAX in its infancy, we relied for our information on stringers phoning up, and agency reports coming in by teleprinter. One of the jobs on the night shift was monitoring this stuff as arrived. If anything significant or urgent turned up, and you were reasonably sure it was true, you pressed a button on a microphone on the desk, and your voice rang round BBC newsrooms and offices, alerting the staff to the breaking story. It was unusual for much to merit announcement on the blower during the night: there were no bulletins on any radio outlets till the morning, and no morning TV at all. In any case, most overnight news came from far-away lands that rarely made it into our summaries - places where our night was their day. 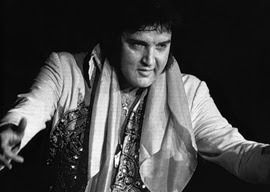 On that August night, a flash came through from one of the American news agencies, saying that Elvis Presley had died. I pondered for a moment whether to announce this. 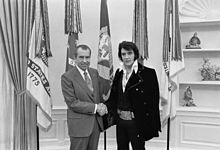 You'd hardly believe it now, but in 1977, Elvis wasn't such a big deal. For my generation, born too late for his heyday, he represented a past age, eclipsed by our home-grown talent. (this is a view I have since revised thanks to the post-mortem rediscovery of his early career!). Anyway. I studied the flimsy piece of paper, and decided that I would go ahead. So it was that I broke the news of Elvis's death to the people who would relay it to the nation hours later. I was completely unprepared for what followed. Telephonists from the switchboard rang the newsroom in tears to check. Serious journalists I regarded as geriatric (they were probably in their 40s) started arguing about how to cover the story in the morning bulletins. The genie was out of the bottle when another piece of copy arrived, from the same agency and, lo and behold, it seemed that Elvis was still alive. This new account had him in hospital, but recovering. I felt a complete idiot, imagining dismissal, or at best a savage bollocking in front of the rest of the staff. A kind colleague suggested I should wait till more information came in before returning to the squawk box to retract my rash announcement and, sure enough, other agencies soon piled in with confirmation of the death. I must have been the only woman in the world who was relieved by that news. It turned out that the ‘alive’ report had been bumped down the priority list of the American telex operator when news of the death came through, and mistakenly left in the queue for transmission. That didn’t matter in the UK. There was no output overnight, and the ‘Elvis alive’ story was never broadcast. Few of my colleagues even knew it had existed. But in America, were the news programmes were live on air, that little blip became one of the foundations of the conspiracy theories that led to the regular stream of Elvis ‘sightings’ which continue even today (when he would be 78 years old). For many people, it’s a ‘fact’ that the death of ‘The King’ is a fiction. By the way, back in our radio newsroom, that night continued with a spectacular fight about which Elvis track to play on the morning news. The home news editor was insisting on 'Blue Suede Shoes'; the Foreign Editor (a venerable and cultured man, normally known for his calm dignity) was almost apoplectic in his support for Hound Dog " For God's sake! Hound Dog was the very essence of the man!" I seem to recollect things being thrown, grown men stomping around, and some world-championship sulking in the small hours. I don't think I ever again witnessed such passion over a news story in all my years at the BBC. As far as I can remember, the solution was to play one track at 7am, and the other at 8 - quite a daring manoeuvre in those days. My other story comes from the year before, when, as a News Trainee, I was temporarily posted to the newsroom at BBC Norwich. 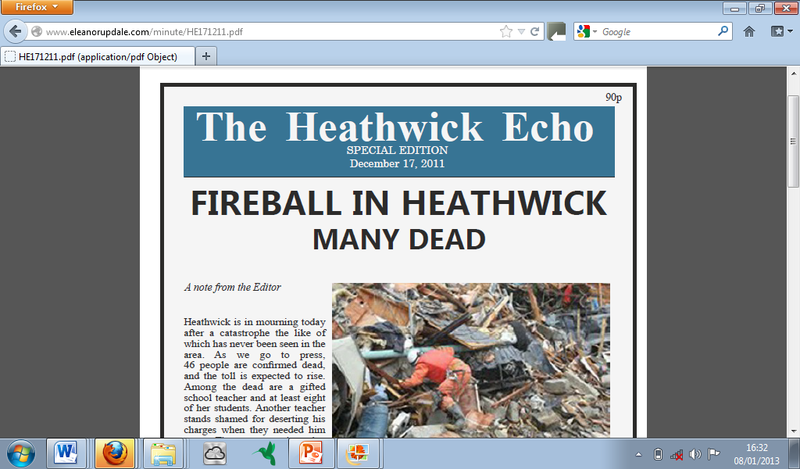 It wasn't exactly the Washington Post. 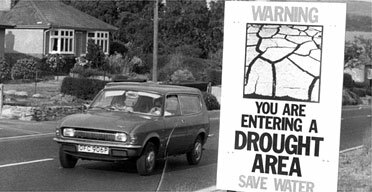 You may remember that the summer of 1976 was unusually hot. 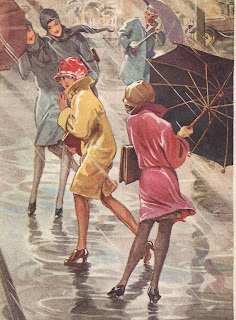 I don't think we would find those temperatures (in the high 70s Fahrenheit) particularly extreme these days, but back then the astonishing weather was our main story every night. The chocolate in a local sweet factory would not set, and the whole city smelled of cocoa; you could fry an egg on the bonnet of a car; there was botulism in the Norfolk Broads. And because of the heat, not much else was happening. After a few of weeks of the heatwave, we were getting stuck for new things to say. Talking in the bar one lunchtime (those were the days), someone suggested that when the rain eventually came, all the oil and rubber that had collected on the roads during the drought was likely to get mixed into a slippery mess. It might be dangerous. That afternoon, I wrote a story along those lines. I may have managed to get some authority (such as a policeman or a representative of a motorists' organization) to endorse the idea. I probably made it sound as if the warning had originated with them, but essentially the item – though plausible - was a complete invention. The next day I took my driving test. There was no written exam then. Instead, the practical drive ended with a few technical questions from the examiner. After some general Highway Code stuff, he said, "Now, what will we have to look out for on the roads when it starts to rain?" I'm not sure whether he was expecting the authoritative answer he got, but it was enough to counterbalance my rather daring right-turn across a dual carriageway. He must have been a Look East viewer. As far as he was concerned, the 'Killer Sludge' risk was fact. I passed my test. This business of how 'truths' are established is one of the subjects dealt with in my new book, The Last Minute. It is based in the present day, but the message about the unreliability of evidence is the same as that propounded on all good History courses. 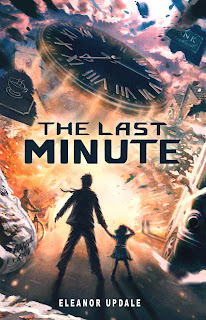 The Last Minute covers the sixty seconds before a big disaster, and the reader is privy to bits of evidence about the causes of the catastrophe which cannot be available to reporters and investigators trying afterwards to determine what went wrong . When they have finished the book, readers can go online [to www.eleanorupdale.com/minute] to read the results of the official, and press, investigations. The reality and those reports don't match exactly, but it's the post-event confection which, in the real world, would go on to become established 'fact'. There's no suggestion in The Last Minute that the distorted accounts are malicious, or deliberately designed to mislead. The syrupy tributes to victims we know to have been flawed are more the product of human nature and lazy reporting than conscious mendaciousness. But what I hope I am doing is drawing attention to the need for appropriate skepticism about 'evidence', even when it comes from a source very close to an event. I'll round off with another tale from the 1970s, which is loosely connected with what I've been on about today. I'm not suggesting that it's true, of course! 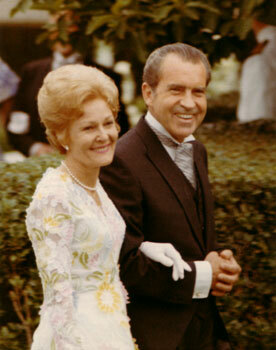 President Nixon woke up on a winter's morning and looked out of his bedroom window to see 'Richard Nixon is a %*$!' written in urine in the snow. He commanded his security team to analyse the urine to see who had written the message. 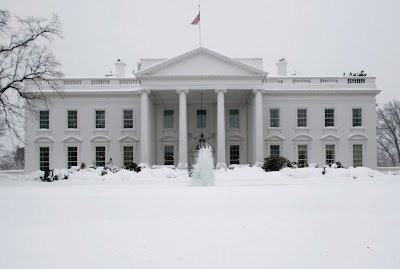 The news came back that it was a senior member of the administration. "Sack him!" cried Nixon, "and make sure the press hear what a *!!! ** he is". "You might not want to do that, sir," said the aide holding the security file. "You see, its X' s pee, but it's Mrs Nixon's handwriting." when evaluating evidence, always ask yourself whose 'handwriting' it’s in, and why. 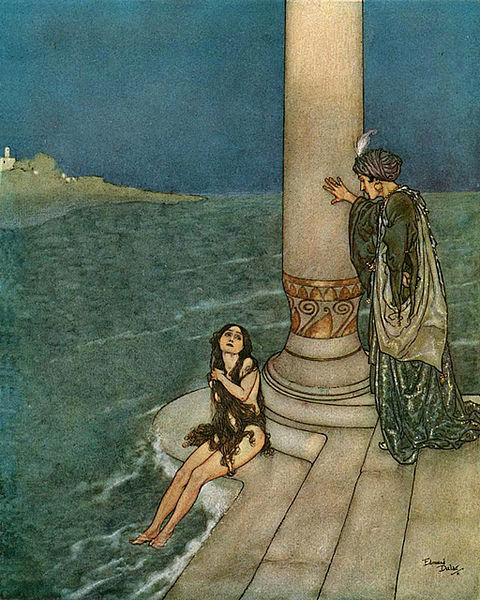 Dulac's illustration to show the little mermaid meeting the prince. 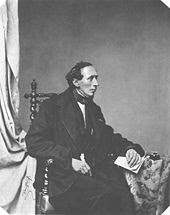 Hans Christian Andersen was the Danish author of many classic fairy tales such as The Snow Queen, Thumbelina, The Little Match Girl, The Ugly Duckling and The Little Mermaid. 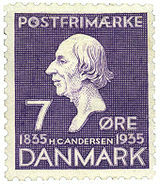 As the child of a washerwoman and shoe maker, Andersen’s childhood in Odense was one of poverty. His grandfather was said to be mad. His grandmother worked in a lunatic asylum. An aunt ran a brothel, and a half-sister was a prostitute who, in later life, attempted to blackmail her brother. His father also used to claim that his son was in some unspoken way related to Danish royalty, though no proof of this connection has ever been found. What he desired remained unrequited, for Andersen cultured strange ‘love triangles’ where his wooing of a sister often hid the lust for the brother. 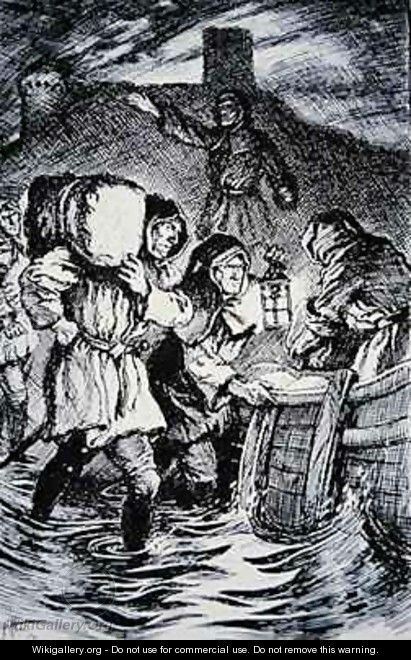 Such was the case with Riborg Voigt – a letter from whom was found in a pouch that hung around Andersen’s chest when he died. ‘I languish for you as for a pretty Calabrian wench...my sentiments for you are those of a woman. The femininity of my nature and our friendship must remain a mystery. That mystery led to great yearning. It also led to the creation of a beautiful and tragic tale - a story far darker and twisted than the Disney film version dares to show. 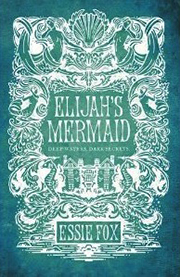 And now that story has gone on to inspire my own imagination, with themes from The Little Mermaid occurring in my Victorian gothic novel, which is called Elijah's Mermaid. Among the few things I have that stem from my mother's girlhood is a collection of five books for children and young girls dating from the twenties and thirties; in gothic script, with illustrations that I used to enjoy looking at before I actually read the books, because most of them were so glamorous (but more of that later). 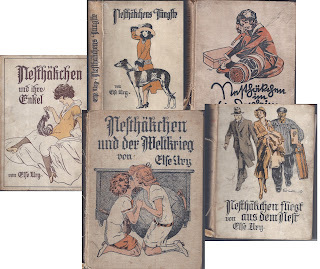 These are the 'Nesthäkchen' books, a concept rather difficult to translate. The 'Nesthäkchen' in a family is the littlest chick in the nest, the one who holds on when all the rest have left. 'Benjamina' is the closest equivalent, I suppose. These books are set in the period just before World War 1, during the war, and in the Twenties. The last was published in 1925, the year my mother was born. The first one I read, when I was about ten, told the story of the heroine, Annemarie, when she gets scarlet fever and has to spend a year in a convalescent home to recover. My mother got that book in 1933. I wanted to know what happened next, so I read the one set in the First World War, somewhat upset by the anti-English feeling, but continued to the later stories. A couple of the intervening books were missing, and my grandfather sent me modern editions of them; published in the '60s, the illustrations showed the characters wearing '50s clothing. The older books I have were almost all illustrated by Robert Sedlacek, a Viennese professor of applied art, and a successful advertising artist. He created graphics for Persil and for Eau de Cologne advertisements. 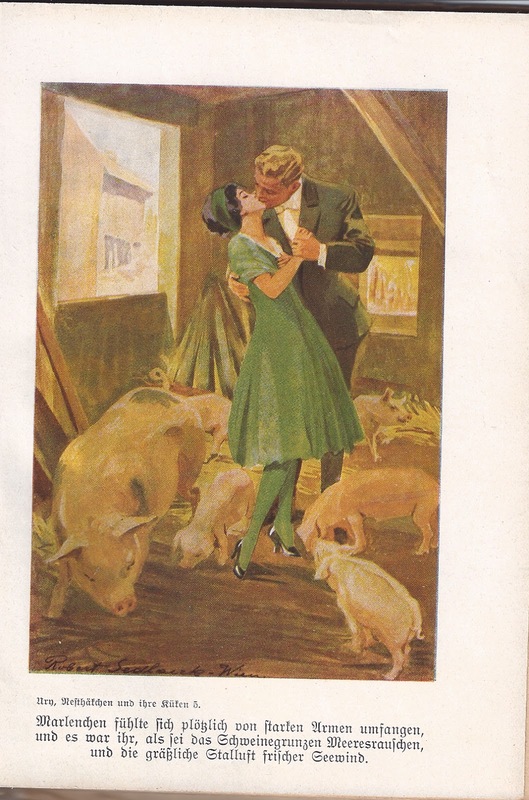 Sometimes the advertising lineage shows; as in the scene where Annemarie's cousin proposes to her best friend while she's feeding the pigs on his farm . 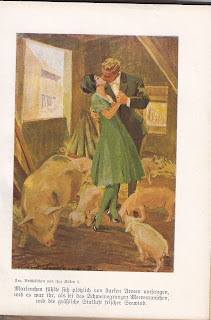 Though the text states that she always wore casual clothes on the farm, the clothes she and Peter wear in this picture are hilariously inappropriate (or maybe the picture is only meant to illustrate her state of mind?). There are a few more like this (girl wears high-heeled shoes to go climbing in the Bavarian Alps, for example). 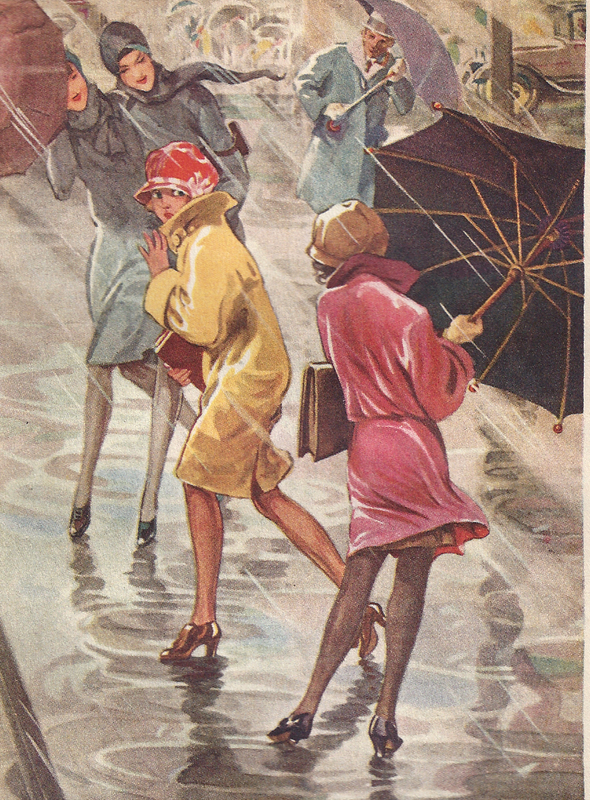 On the other hand, the one of the girls in the rain was one of my childhood favourites, from 'Nesthäkchen in the World War.' But aren't the young girls (aged 13) killingly elegant? Annemarie is a cheerful, sometimes scatter-brained, lively and loving girl from the educated and better-off layer of German society (her father is a doctor and the family have a cook and a maidservant, as well as a nanny for her), who has adventures, gets into trouble - but never terribly bad trouble - and speaks her mind. 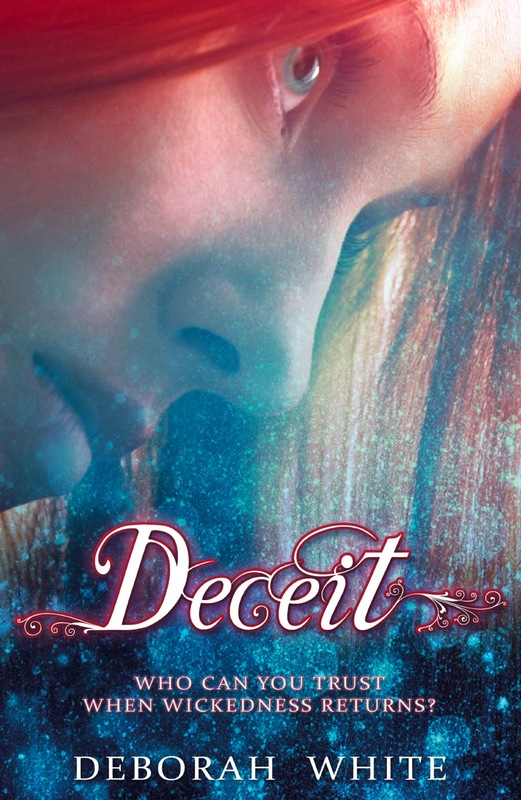 The stories are told in the voice of an appreciative, understanding aunt, and if they don't have the quality of 'Emil and the Detectives' they are deeply satisfying, page-turning story-telling. 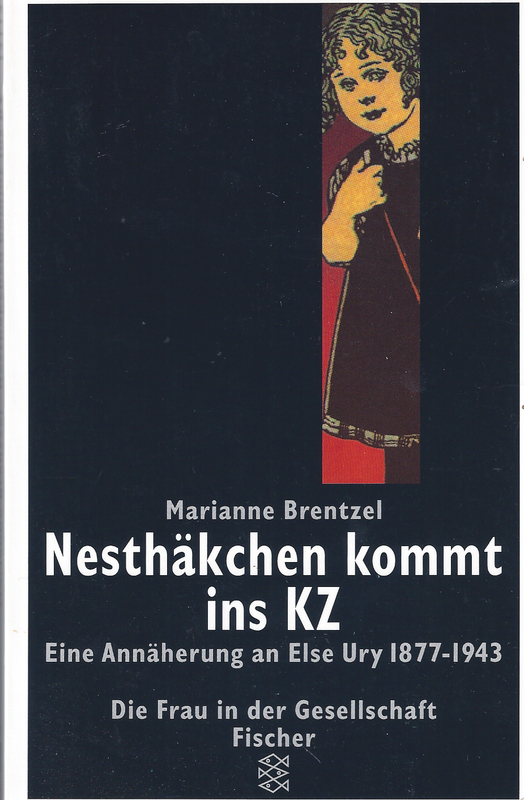 In addition, the one that tells about Annemarie's teen years contains stories of strikes, coal shortages, and many of the stresses of the Weimar Republic, so to a history-obsessed teenager it was deeply interesting, though it's not till recently, when I got hold of a pre-war copy via the Internet, that I noticed some of the things that had been edited out, like the mention of the concierge of Annemarie's apartment block being a Spartacist. I knew Annemarie's farmer cousins had been relocated, in newer editions, to Bavaria, because in the World War she went to stay with them in Upper Silesia. Why this was so, I don't know, given that the novel was set in the '20s. Annemarie's life continues through a timescale that is curiously elastic; in the later books, when Annemarie is already a grandmother, (which by my reckoning) would have been the '60s, the dreadful inflation period is mentioned as in the early lifetime of her granddaughter. The World War (the First) is always just a few years back, and Hitler never comes. They always painted for me a picture of Germany as it might have been if it had not been for the catastrophe of Nazism, a normal country just like any other. No war, no bombing. The author is very German, but not (except in 'Nesthäkchen in the World War') in any way jingoistic, just proud of German culture and civilisation. I have to say that I drew on Annemarie's family and her surroundings when I wrote 'Saving Rafael': curiously, when I recently re-read all the books, I realised that her family even lived in Knesebeckstrasse, which is where I have always thought Jenny and Rafael's family lived. I've stayed in hotels in these old apartment houses in Charlottenburg, and can imagine them in their old incarnation as dwellings. Hanna the cook in Annemarie's family isn't quite dissimilar from Kattrin the maid in Jenny's family - though Jenny's family weren't so prosperous, and I did take care to give Kattrin a different personality. It was like reading 'Winnie the Pooh goes to concentration camp.' I felt as if I'd been thwacked in the face. I picked it up and discovered that yes, Else Ury was Jewish, and she was deported and immediately murdered in Auschwitz in January 1943. She was an old lady, and would have been regarded as useless. But I do wonder whether one of the women who forced her to undress and pushed her into the gas chamber had read and adored her books when she was a child. She must have lost her pride in German civilisation a good while before that. In fact, Ury's books (there were several other series as well as one-offs) have sold almost seven million copies over the years. 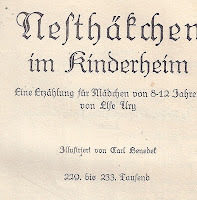 My mother told me that she always got a Nesthäkchen book for Christmas; since she had five, that means that she got one every year at least till 1937, and if you feed in the three missing ones, that would take you up to the first year of the war. I certainly have the penultimate one in the collection. But Ury, as a Jew, was forbidden to write, and I do wonder if my grandparents bought the books in advance in 1936 when this edict went out and the Gestapo pruned 'bad books' out of the shops. 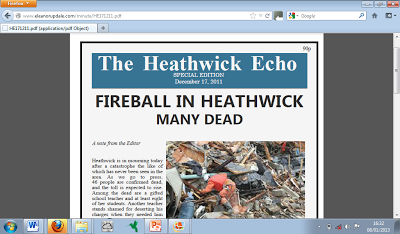 I wasn't, of course, the only person to be deeply shocked to discover that she was murdered. My response was typical, it seems. 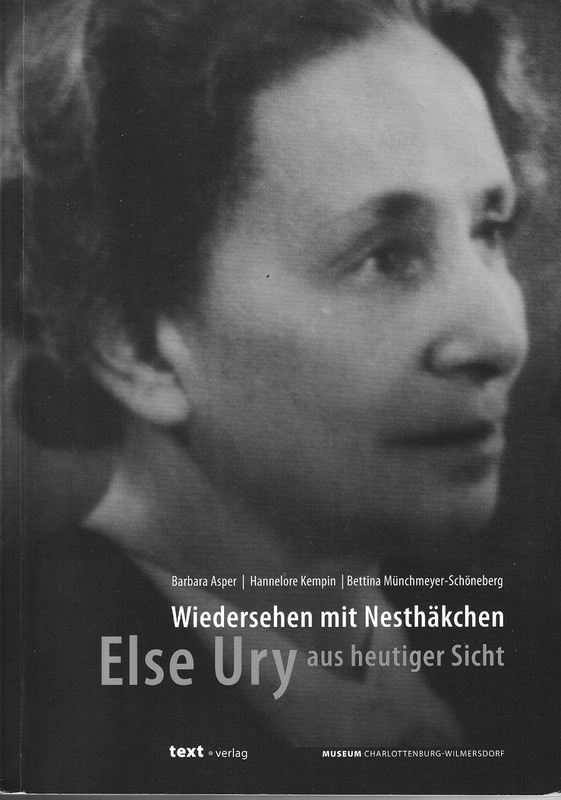 But the book (which I bought) wasn't actually a very good one, or based on any very close reading of Ury's work. 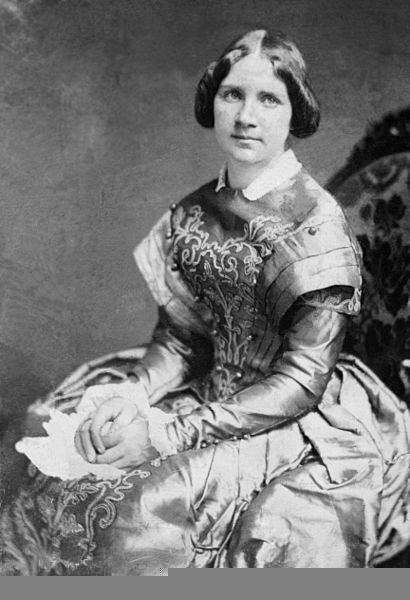 Marianne Brentzel, who wrote it, claims that Annemarie becomes a contented housewife, something which no-one who reads the books can believe. 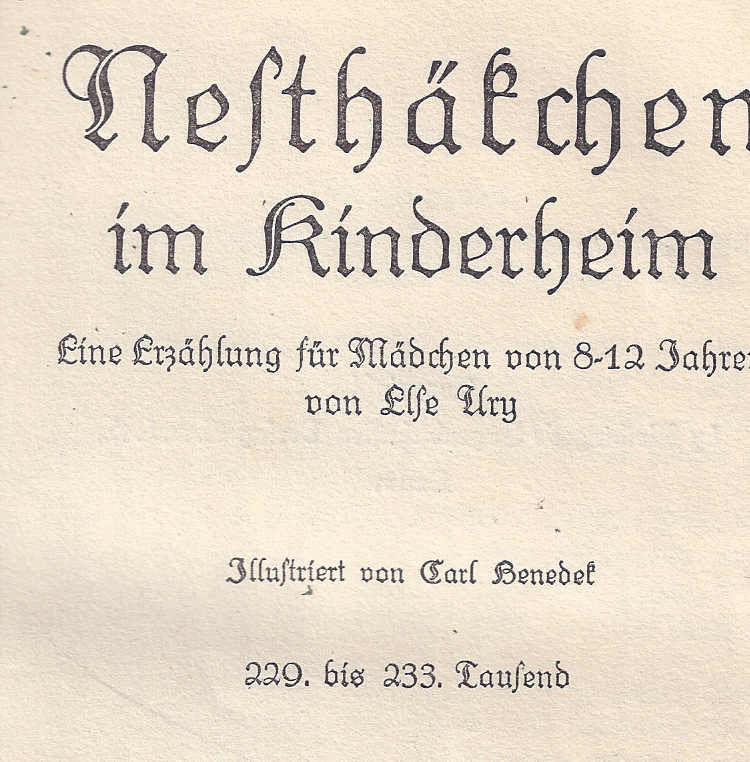 A much better book 'Wiedersehen mit Nesthäkchen,' (Reunion with Nesthäkchen' was published by the Charlottenburg-Wilmersdorf museum in 2007, to accompany an exhibition. Scholarly, but approachable, it is deeply interesting, though unfortunately only available in German. Its various authors make it clear, from an extensive reading of Ury's published work that she - who never herself married - was well aware of married women's aspirations to work and be independent of their husbands. Several of Annemarie's friends go into marriages where they work alongside their husbands - one is a pharmacist - and Annemarie herself may give up her medical studies to marry, but she works as her husband's assistant, helping him with x-rays and tests and many technical procedures that in those days doctors did in their own premises. All the same, in 'Nesthäkchen and her babies' she bursts out to her best friend: 'You can't believe how hard it is to have to come to one's husband for every bit of money you need to spend.. Women nowadays have a certain independence of spirit, and we want an economic self-sufficiency that our mothers and grandmothers never knew.' (my translation). However much Annemarie adores her children and loves being married, this frustration remains with her. Ury was also well aware of the crass gulf between well-off and poor in Weimar Germany. However tough it is for Annemarie and her family, she knows about the misery of those who, though hard-working, were trapped in really desperate poverty. Annemarie's daughter and two of her granddaughters become social workers, and the younger of these even postpones her wedding till she's qualified, and will definitely work after her marriage. 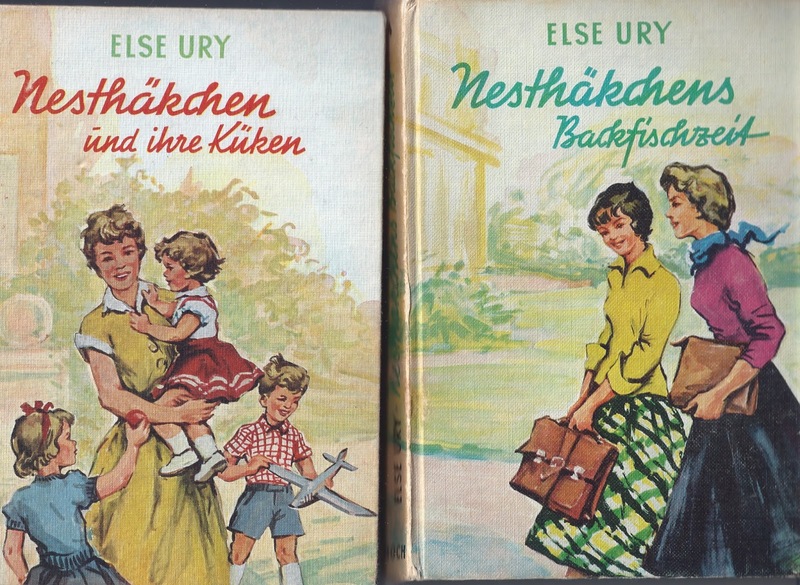 In fact, there's a book by Ury that I have only read about because they're so rare, in which a businessman's daughter upsets her family (destroying their Sunday afternoon peace) by protesting about the conditions her father's workers endure, and demanding that he does something about it. My own mother, as a young bride in England after the war, determinedly got herself a job (much to my father's dismay at first) and worked for almost her whole life as a teacher, studying at night to get the degree and Masters that she wanted. Perhaps Ury's stories encouraged her. Re-reading the books, I feel that my mother learned from the humane attitudes towards children and young people that permeate Ury's work - and frequently put them into practice (no parent is perfect!). My mother certainly didn't learn them from my grandfather, who was a harsh-tongued, disciplinarian parent (and grandparent), whereas my grandmother was so psychologically fragile that my mother spent most of her childhood as a carer. 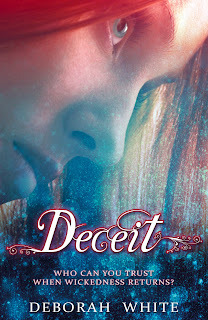 She must have envied Annemarie her secure family, and determined that when she was a parent, she would be like the people in the books. So I think I have cause to be deeply grateful to Else Ury. 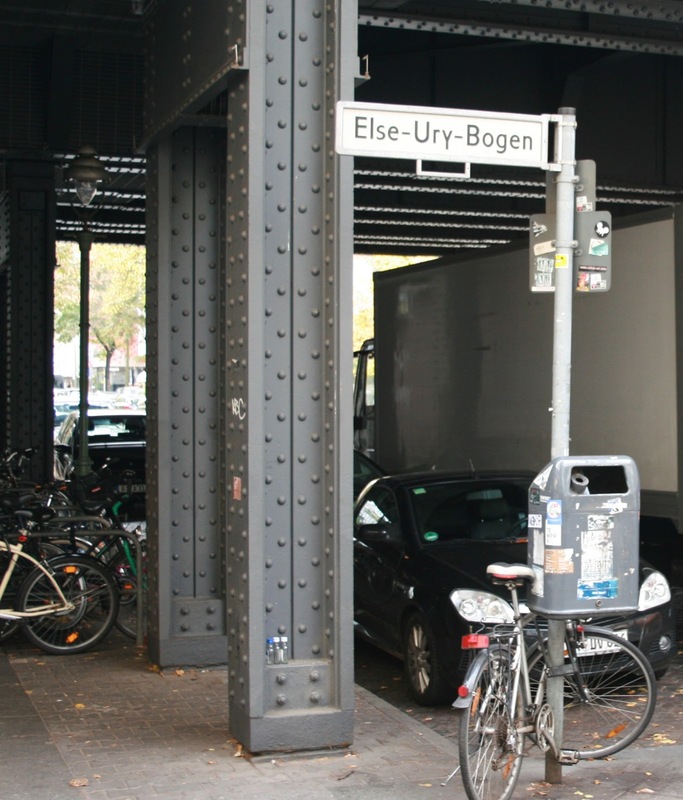 Nowadays, an alleyway just beside Savignyplatz station in Berlin (close to her childhood home) is named after her, and there is a growing interest in her work. 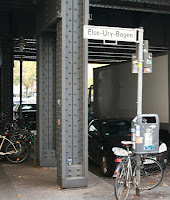 Plaque marking one of the houses Ury lived in, in Berlin. Nothing can change the bitter tragedy of her death; but future generations, as well as the thousands of German girls who adored her books during her lifetime, continued to love her work. Like so many other of Germany's Jews, she was a vital part of German culture, and not the worst efforts of the Nazis could root that out. 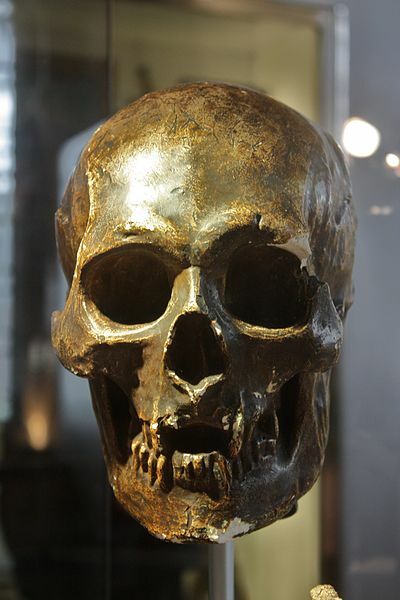 Was the Son of Achilles a Psychopath?